Upscale Elk Springs Subdivision. Seller recently completed Architectural House Plans approved by HOA and are sold with lot along with a recent survey and soils report. Lot is located on a heavily treed corner lot on a quiet cul-de-sac location. This 2+ Ac. lot offers privacy, all day sun and paved access and limited views of Mt. Sopris and the Elk Mountain Range. More than 8 miles of hiking/biking/X-C ski trails throughout the neighborhood situated among a lovely community of beautiful custom homes in an old growth Pinion forest. Elk Springs consists of a 2,200 Ac. subdivision. Developer designated 1,100 Ac. or 50% of the property to open space. It provides the opportunity for living in harmony with a uniquely natural environment. It also preserves the natural amenities inherent in the pinion and juniper covered slopes, the rolling grassland, and the abundant wildlife. Elk Springs is a ranchland and pinion covered mesa perched above the Roaring Fork Valley. Located in the new Riverview School (Pre-K-8). All this and only minutes from both Carbondale and Glenwood. Architectural house plans approved by the HOA. It is a ranch style house with a walk out lower level. Main level consists of 4 bedrooms + 3.5 bathrooms + office. Main level has a master bedroom with ensuite bathroom, office, ½ bathroom, living room, dining room and kitchen. Walk out basement has 1 master bedroom with ensuite + 2 bedrooms and 1 bathroom. Main level-1,420sf | lower level-1,426sf | total heated living square feet-2,846sf. There is a 2 car garage-607sf plus two decks and a patio area. A septic system must be installed as there is no hook up to the sewer system. Septic system plans have already been designed and will be sold with the lot. Two dogs area allowed in this subdivision Filing. Ranch style living at its best! Enter to an open concept floor plan with high ceilings and abundant natural light from expansive windows. The spacious, entertaining-friendly quarters expanding onto a large private patio. A gas fireplace adds to the ambiance and central air conditioning keeps the temperature pleasant year-round. The entire home was refreshed in 2018 with new carpet in bedrooms and beautiful engineered wood flooring throughout, as well as, fresh interior and exterior paint. The gourmet kitchen was also upgraded with white quartz on the countertops and center island with water fall design featuring counter seating illuminated by pendent lighting, and new stainless steel Kitchen Aid appliances. The luxurious master suite with coffered ceiling – complete with a spa-like bath, has his and hers vanities with white quartz counter tops, separate shower stall, soaking tub and two walk-in closets. Additional full bathroom boasts new dual sinks/faucets, and the power room has a new vanity and fixtures as well. Additional contemporary details include a chalkboard paint wall in the living room, modern lighting fixtures throughout, and living room recessed shelving nooks. Natural gas forced air heat. One bowl stainless steel kitchen sink with new faucet-New 2018. The exterior of the home is highlighted by mature landscaping surrounding a covered front porch in the front and spacious concrete patio in the back yard. Access the house by a long asphalt driveway to an attached finished 2 car garage. The location couldn’t be more convenient, just south of Glenwood Springs and north of Carbondale. Owners can easily access unbelievable outdoor activities including skiing, biking rafting, hiking, and much more. Aspen and its four world-class ski resorts are all less than hour away. Spectacular Sweeping Mountain Views accentuate living high above Old Town Basalt. High End Finishes + Convenient Mid-Valley Living. Mid Valley’s premier luxury townhouse is perched on a hillside above Old Town Basalt-with breath taking views. Enter through a charming roughhewn knotty pine door to an open concept floor plan with expansive windows, abundant natural light and spacious, entertaining-friendly quarters expanding onto a large private deck. Vaulted ceilings and large windows provide abundant natural light and only add to the ambiance. Gas fireplace in living room gives that warm and cozy feeling. Tile flooring on the main level makes living easy. Well-designed gourmet kitchen features granite counter tops and stainless steel appliances complete with eat at bar. Townhouse was refreshed in 2018 with paint throughout and new carpeting in bedrooms. Radiant heat offers a warm floor to walk on. 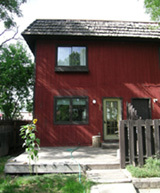 Downstairs, the 2 bedrooms open up to their own private patios nestled in evergreen trees. Luxurious master bedroom suite with walk-in closet features a spa like bath with Jacuzzi tub, steam shower with tumbled marble floors. A detached 1 car heated finished garage with plenty of guest parking is available. This mid-valley’s luxury community offers a seasonal community pool and hot tub for relaxing after your day of fun with all the area has to offer. The Wilds has convenient access to all of the cultural and sporting opportunities that define life in our mountain community. Conveniently located minutes from hiking/biking trails and more, Basalt is a quaint community at the confluence of two fly fishing Gold Medal trout rivers. You can easily walk to town on a paved path to all of its amenities. Located just 5 minutes from the Willits Town Center with Whole Foods Market, movie theatre plus shops, entertainment and a variety of restaurants. In addition, it is only about 30 minutes to Aspen and all four world renowned ski resorts. This truly is the perfect mid-valley location! Nestled in the heart of the Roaring Fork Valley between Basalt and Willits. Comfortable + Convenient Mid-Valley Living. two level layout makes it entertainment-friendly and vaulted ceilings provide abundant natural light. Enter through an enclosed deck on the lower level that features a family room with access to it’s own deck, two bedrooms, full bathroom, large storage or office space (bonus room!) and sizable utility room. Upstairs, the main level was refreshed in 2017 with new carpet, flooring and paint throughout. The open floor plan includes a well-designed kitchen complete with island, recessed bay windows and sunny breakfast nook with built-in banquette. The glass doors in the bright living room frame the surrounding mountains and leads to another outside deck. An adjacent private master suite hosts yet another deck and spacious bathroom with walk-in closet. Home is complete with central AC. The backdoor opens to a small, fenced yard (perfect for a dog or two) at the base of a sloped hillside of gorgeous pine trees. A 786 sf, finished/heated two-car garage with small workshop provides ample storage for all of your toys. Lot does not allow an ADU. Aspen Junction offers access to all the cultural and sporting opportunities that define life in our mountain community. Conveniently located minutes from hiking/biking trails and river access plus all the new shops, restaurants and entertainment Willits Town Center has to offer-including Whole Foods. In addition it is only about 25 minutes to Aspen and all four world renowned ski resorts. This truly is the perfect mid-valley location! Serene rural setting only minutes from Hwy. 82 (1.1 miles) from Basalt and Willits Town Center with all its amenities. South-facing property enjoys all day sun with views of Mt. Sopris and surrounding mountains. Seasonal ditch flows through the property and mature cottonwoods line the gently sloping building area. Preliminary driveway and well are in place. Activity Envelop of 1+ acres approved and recorded with Pitkin County-this needs to be renewed (majority of 11 acres is above on stepper hillside). Potential for up to a 5,570 sf house including a 1,000 sf Caretaker Dwelling Unit (CDU) upon renewal of the Activity Envelop (FKA as1041 Review Process) has expired and needs to be renewed. Seller completed the 1041 in 2008 but after 3 years it expired in 2011. Survey on file. Horses allowed-unlimited number. An extensive remodel was just completed on this ranch-style home nestled in the heart of the Roaring Fork Valley. The kitchen and open-plan living area is the focal point of this contemporary and entertainment-friendly property. A large island with pendant lighting provides a perfect spot for breakfast or for guests to gather. Renovation highlights include new appliances, new carpet, quartz kitchen counter tops, gorgeous tiling, updated flooring and new paint throughout – making it as modern as it is sunny and bright. Vaulted ceilings in kitchen, living and dining rooms add to the home’s ambiance. Two bedrooms and separate bath couple with a master bedroom with in-suite bathroom make for a family-friendly layout. Utility room showcases new washer/dryer. French doors open to a spacious deck overlooking a treed, fenced yard with large storage shed. Blue Lake residents enjoy 140+ acres of common space including a private lake for water sports like paddle boarding and kayaking, a pond, multiple parks, and several miles of paved trails. The property is also central to all of the cultural and sporting opportunities that define life in our mountain community. Conveniently located is Willits Town Center with Whole Foods Market, movie theatre and a variety of restaurants, great shopping and more. Crown Mountain Park is nearby with abundant open space, tennis and pickle ball courts, BMX track, basketball, walking trails, soccer and lacrosse field, baseball and softball field. Blue Lake is less than 40 minutes from Aspen and all four of our world-class ski resorts. HOA Dues $106/month include trash removal, common area grounds maintenance, insurance, management, contingency fund, road maintenance and snow plowing. Welcome to the mid-valley's most sought after location – Lakeside Townhomes. This two-story, corner unit was thoroughly remodeled in 2016. From concrete countertops to stainless steel appliances, to updated flooring and new paint throughout – it’s as modern as it is sunny and bright. The open concept, living and dining room with adjacent kitchen make entertaining easy inside, and out with a sizeable deck overlooking the lake. Just below, the main floor offers a secluded bedroom and master bath that opens to a private fenced patio. Surrounding mountains add to the beauty of this unique property that offers convenient access to outdoor recreation including biking/walking trails, hiking, fishing, open space and more. Located in the heart of it all just 2 minutes from Whole Foods and the Willits Town Center featuring movie theaters, restaurants, shopping and more. 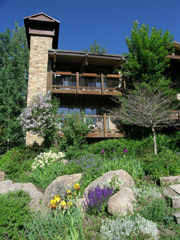 It is also just 30 minutes from downtown Aspen and four world renowned ski resorts. If you prefer not to drive, it is located on the RFTA bus route. Two pets allowed (owner or tenant). No short term rentals – minimum stay has to be 30 days. Radon mitigation system installed in 2016. One car garage plus parking in driveway and one additional assigned space. HOA Dues $300/month includes trash removal, common are grounds maintenance, insurance, management, contingency fund, road maintenance and snow plowing. Maximum of 2 dogs allowed. River location at it's finest. Nestled on the edge of the Roaring Fork River with limitless views of Crown Mountain open space & ACES Rock Bottom Ranch Nature Preserve, home offers spectacular views up & down the Roaring Fork River with 300 ft. river frontage. Home is situate on 5.66 Ac. with access to Gold Medal fishing but conveniently located close to the Willits Town Center with Whole Foods & a variety of shops & restaurants. Home has 3 bedrooms, 2 1/2 bathrooms, office & large art studio with a oversized 2 car attached garage & you can build up to 800 sq.ft. for a guest house. There is a horse barn with 4 stalls & 3 various sized corrals & valuable Ditch rights. Flat lawn areas with mature trees & landscaping. Inviting & comfortable as a primary residence, second home or for investment. Nestled in the heart of the Roaring Fork Valley, this custom built home has a kitchen upgraded in 2008 for buyer’s who enjoy entertaining with LG stainless steel kitchen appliances and granite countertops-there is also a large island. To finish it off, there is under the cabinet lighting and tumbled stone back splash. An open floor plan flows from the kitchen to living room with a wood burning fireplace to warm those cold winter nights. In 2008, Exotic African ebony engineered flooring installed that flows through kitchen, living room and dining rooms. This 3,450 sq. ft. home with 5 bedrooms and 5 bathrooms includes a 592 sq.ft. finished bonus room above the garage with vaulted ceilings with a bedroom and a bathroom offers many uses. For those of you that need extra space, you have a finished basement with a full bathroom. In addition, you have an oversized 2 car finished, heated and insulated garage with a large storage area in back of garage with an epoxy covered floor that gives you plenty of space for your toys. A vaulted ceiling accents the master bedroom. Sit on your wrap around front porch and enjoy the mature landscaping and fully fenced corner lot with trees and bushes. Back covered redwood patio features a hot tub for those relaxing times. Blue Lake offers close access to all of the cultural and sporting opportunities that define life in our mountain community. Conveniently located is Willits Town Center with Whole Foods Market, movie theatre and a variety of restaurants and great shopping. Crown Mountain Park is just nearby with lots of open space. Enjoy your water sports on the lake. Blue Lake is only about 40 minutes from Aspen and all four of our world class ski mountains. Brand new-never lived in! Mid Valley’s premier luxury townhome. This 2,286 sq.ft. townhome with 3 bedrooms, 2 ½ bathrooms has an open concept floor plan. Central AC. Oversized finished 2 car garage with a large finished storage room is a plus. Vaulted ceilings on upper level make the rooms feel spacious. Skylight in the upper hall provides some natural light. All 3 bedrooms are located on the upper level. Bosch stainless steel kitchen appliances, built in wine refrigerator and leather finished slab granite counter tops with an island that seats about 3 to 4 make the kitchen a wonderful place to hang out. Gas fireplace in living room gives that warm and cozy feeling. Knotty Alder doors and trim throughout. All bathrooms have slab Crema Marfil marble counter tops with floating vanities. The powder room and master bathroom have lighting under the vanities that gives that luxury feel. All sinks and toilets are Kohler with chrome Hansgrohe faucet fixtures. Both full bathrooms have separate ceramic tile shower stalls with pebble bottoms and glass doors. You will love to luxuriate in the freestanding soaking tub in the master bathroom. Engineered wood flooring in the living and dining room area, kitchen and powder room. Ceramic tile flooring in full bathrooms, utility room and foyer. Wool carpet in all bedrooms and upper hall. Light cherry laminate flooring in the kitchen, dining room and living room. Ceramic tile floors in all bathrooms and carpet on stairs, all bedrooms and family room. Cable rail system on hand rail to upper floor. Foyer is heated with an electric pad under the ceramic tile flooring. Pella IG (Insulated windows) with wood clad interior and aluminum clad exterior. Shadowrock offers convenient access to all of the cultural and sporting opportunities that define life in our mountain community. Located just across the street is Willits Town Center with Whole Foods Market, movie theatre and a variety of restaurants and great shopping. Shadowrock is only about 30 minutes from Aspen and all four of our world class ski mountains. Conveniently located between Carbondale and Glenwood about 1 mile up Spring Valley Road from Highway 82. Sunny south facing flat .25 acre (10,955 Sq. Ft.) lot located in a lovely neighborhood with gorgeous homes. Water and sewer tap fees are paid. This is an up and coming new neighborhood and a perfect place to build your new home! Remodeled and lovingly cared for over the years and in excellent condition. This 1,992 sq.ft. townhouse with 3 bedrooms, 3 ½ bathrooms plus family room has a warm and inviting feel. Open floor plan on the main level which if great for entertaining. Vaulted ceilings on the second floor offers a very light and airy felling. Most rooms have crown molding to finish off the rooms. Light cherry laminate flooring in the kitchen, dining room and living room. Ceramic tile floors in all bathrooms and carpet on stairs, all bedrooms and family room. Cabinets in kitchen and all bathrooms are white painted oak cabinets-all pulls have been replaced. Kitchen cabinets have under and over the cabinet lighting. Recessed lighting in kitchen. All interior and exterior lights have been replaced. All painted interior doors replaced with 6 panel doors and hardware have been replaced. Gas fireplace with Italian marble hearth and custom wood mantel compliments the living room. Subway tile back splash updates the kitchen. White colored kitchen appliances that have been replaced. Corian counter tops in kitchen and all bathrooms which have coved sinks. All Moen bathroom sink and shower faucets and lights above sinks have been updated. Centennial sink facets upgrade the master bathroom. Master bedroom has a walk in closet and all other bedrooms have large closets. There is storage for all in the master bathroom and the area above the second bathroom on the upper level is like a loft with lots of storage. There are two linen closets for your bedding/towels. High end Fisher & Pakel washer and dryer make your laundry day seem like a breeze. Large private fenced court yard offers an extension off the living areas with a stamper colored concrete patio with a pond stocked with Koi and gold fish and a trickling water fall that soothes your troubles away. Floor drains in the hot water heater area under the lower stairs and the boiler for the hot water base board heat in a different area help manage any water spills. Home has a metal roof with new metal gutters in 2015 and snow stops on the roof to tackle the snow. Townhouse is located within walking distance to Basalt and all of its amenities. Public pool and tennis court are accessed through walking trail to Basalt. Willits at its best! Remodeled 3 bedroom, 2 ½ bathroom, 1,865 sq.ft. townhome. Second floor living room, dining room and kitchen are open concept with cathedral ceilings. Master bedroom with an en-suite bathroom is located on the second floor with easy access to utility room and main living area. Walk-in closet plus another closet in master bathroom. Remodel feature custom upgraded throughout with cherry floors, cabinetry and Jerusalem Gold limestone countertops in kitchen with glass mosaic back splash. Gas fireplace in living room. Large windows in living and dining areas allow for great natural lighting. Three ceiling fans. Oversized 2-car garage with lots of storage. Locate in Willits close to shopping, restaurants and much more which make it the perfect choice for primary residents or second homeowners. This home is for the discriminating buyer. Valley Pines Condominiums are located in a terrific mid-valley location within walking distance to amenities in Willits Town Center including restaurants, shopping, parks, bike paths and bus route. Just a few minutes away from the Roaring Fork River and down-valley from Basalt. This nice quiet top floor 2 bedrooms, 2 bathrooms 1,128 sq. ft. condo is near the end of the hall. Good layout with ample sized rooms and walk in closets in bedrooms. Utility room with stackable washer and dryer has additional storage. Ceramic tile flooring in kitchen. Laminate flooring in front entry, dining area and living room-new 2010. Carpeting in both bedrooms. Radiant floor heat keeps your toes nice and warm. All interior walls painted except the master bedroom in 2012. Replaced most lighting. Balcony off living room overlooks grassy common area. HOA dues includes unit heat and all utilities except electric. HOA dues include unit heat, water, sewer, trash and snow removal, contingency fund, management, common area maintenance and insurance. Pets allowed by owner. Tenants cannot have pets. Make this your next home! Located within walking distance to Basalt and all of its amenities. Nice quite location. This 1,992 sq ft townhouse has 3 bedrooms plus family room and 3 1/2 bathrooms. Townhouse features solid granite counter tops in kitchen and all bathrooms, new kitchen cabinets, new bathroom vanities and new sinks and faucets, new light fixtures, fully remodeled bathrooms and upgraded carpet in living room. Stone floors in all full bathrooms. Wood flooring in kitchen, 1/2 bath and front entry. Wood burning fireplace. Upstairs there is a master bedroom and guest bedroom with vaulted ceilings and en suite bathrooms. Generously sized fenced patio off main level offers exceptional outdoor living plus two extra storage areas. Only 1 dog allowed. This is a short sale. Priced to sell! Located off Cottonwood Drive, First Driveway on Left, First Building on left. Unit is on back of building. "Wonderful Basalt Location & large Master Bedroom Suite"